Additional Info: You will also be supplied with all necessary bedding and teatowels. There are board games available for extra family fun. Please note you will be required to bring your own bathroom towels and it is also advisable to bring your own toilet roll and cleaning materials. Please enquire about fees for short weekends or midweek breaks. 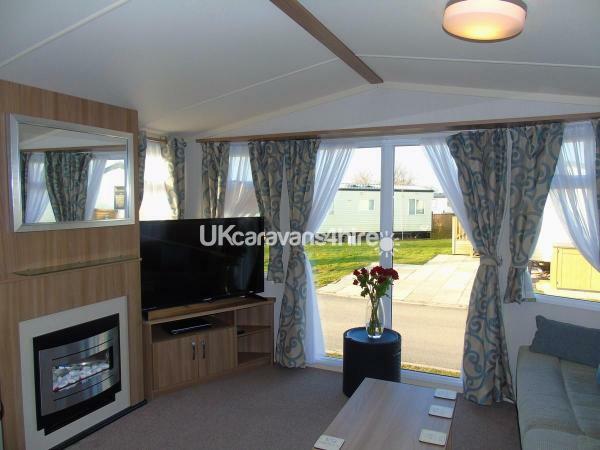 This luxury caravan is perfectly located on Willow Grove close to all the amenities within lovely garden settings, ideal for relaxing and sunbathing. 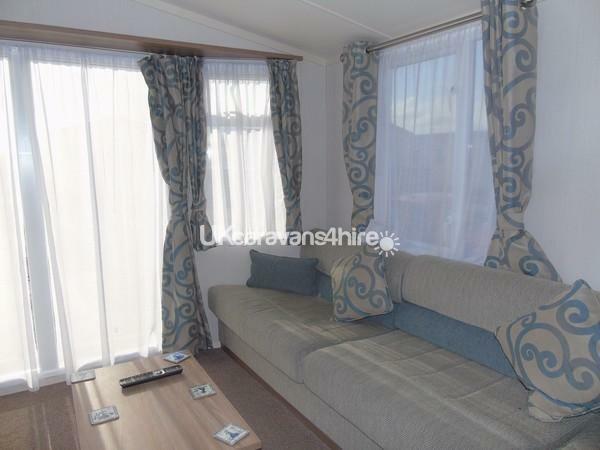 It also comes with a garden patio set and a BBQ, perfect for family outdoor fun. 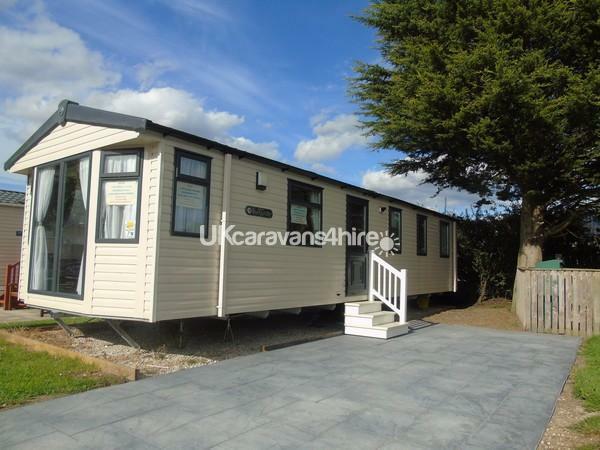 This spacious 35ft x 12ft caravan is a perfect holiday home, even for larger families. 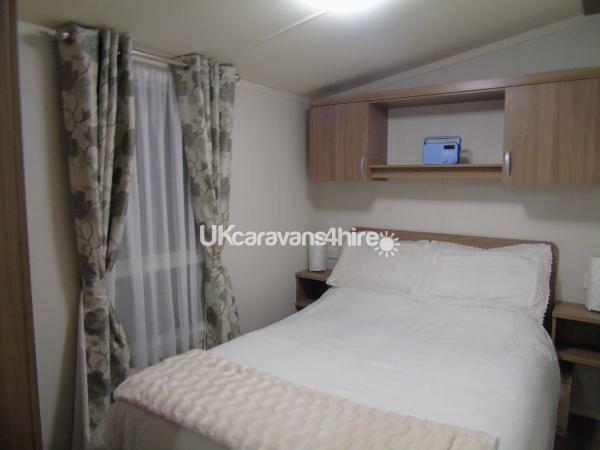 It sleeps up to 6 guests with 3 bedrooms (one double & two twin) plus a comfortable double bed that pulls out in the lounge. Fully equipped throughout with central heating it’s a real home from home. The lounge has all your homely comforts with ample seating for the whole family, a gas fire for the cooler evenings and comes with a 40” TV (including free view) and a DVD player. You will also find some board games for extra family fun. 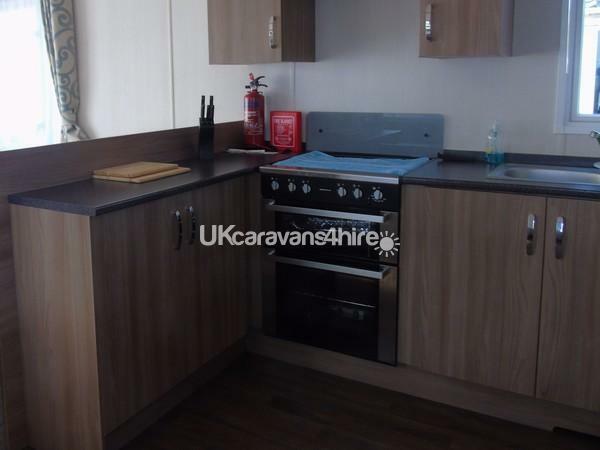 The kitchen is fully equipped and includes: a full standard size fridge freezer (perfect if you don’t always want to eat out and are on a budget) a full size gas oven and hob with electronic ignition, microwave, toaster, kettle, vacuum cleaner, cookware, crockery and cutlery. All 3 bedrooms come with adequate storage, comfortable beds and all the bedding is supplied such as sheets, pillows and pillow cases, quilts and quilt covers. To make life so much easier (especially for larger families) you have access to 2 separate toilets. You have a spacious bathroom with a walk in shower, basin and toilet, plus a separate toilet across the hallway. They are cleaned to a high standard after every booking. Please note you will need to provide your own towels. For your safety a fire blanket and extinguisher, carbon monoxide detector and smoke alarm are fitted and electrical appliances/equipment are all fully PAT tested. Gas and electricity are both included in the price. Theme park passes should be purchased from reception upon your arrival. 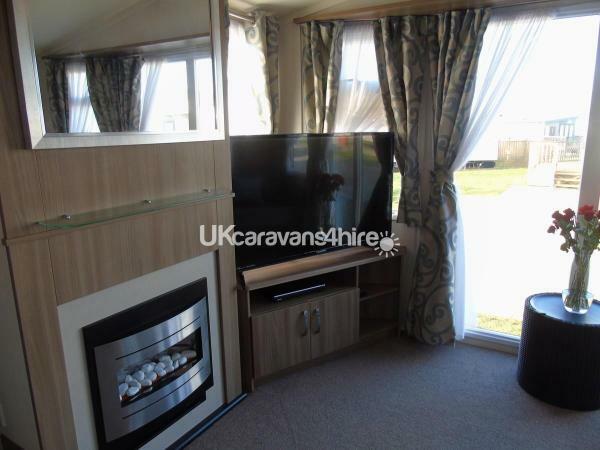 This is a NO SMOKING caravan and strictly NO PETS.